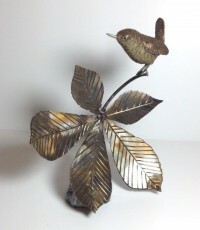 Miranda works in steel, applying her skill as a sculptor to turn a material generally associated with industry and construction into delicate work capturing the natural world. She aims to create work which celebrates the ‘essence of living things’. A self-taught artist, she is well known for her large monumental pieces. 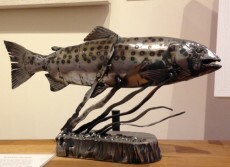 She has created a range of smaller indoor pieces for the gallery.